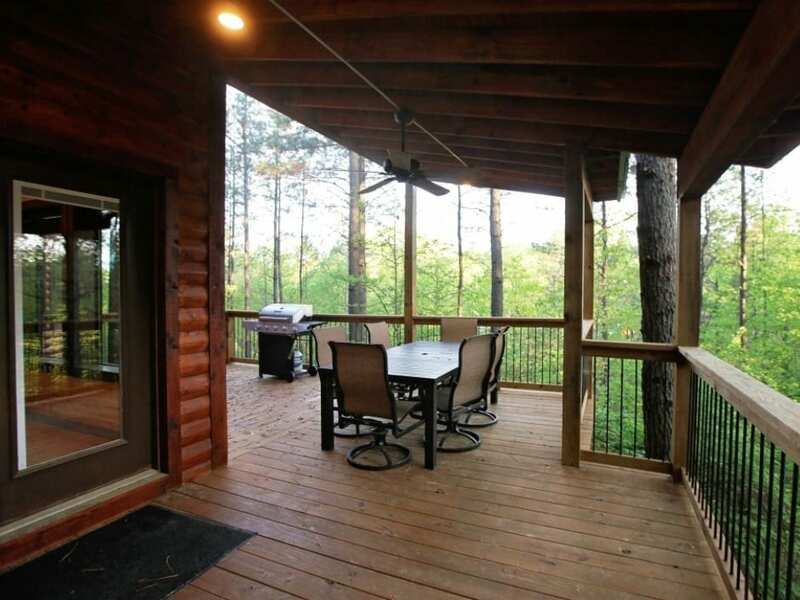 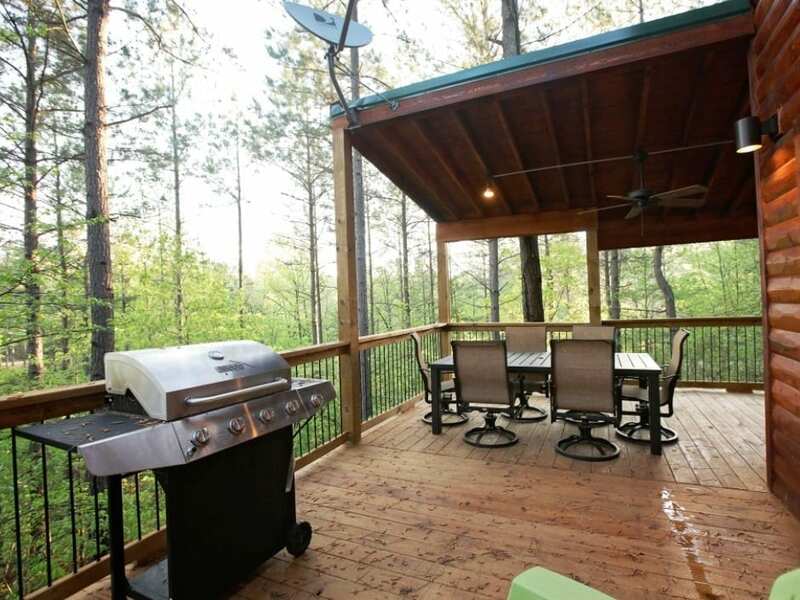 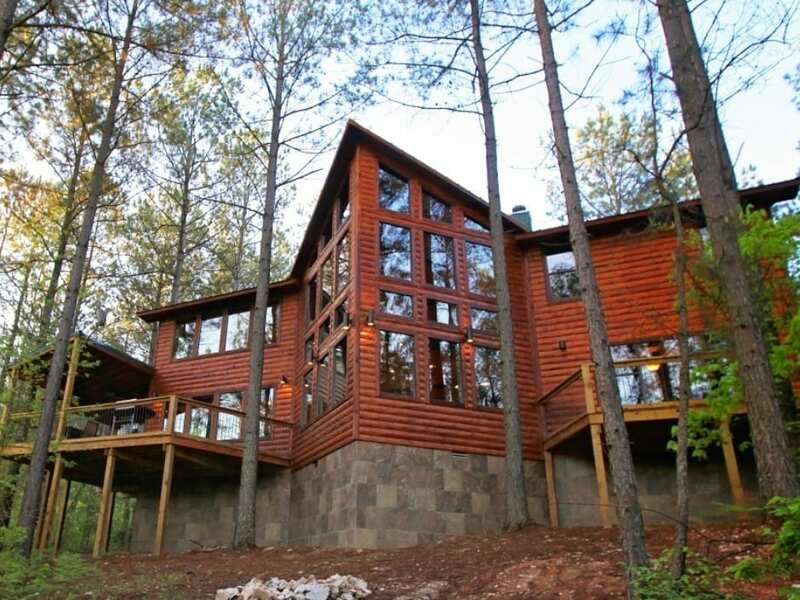 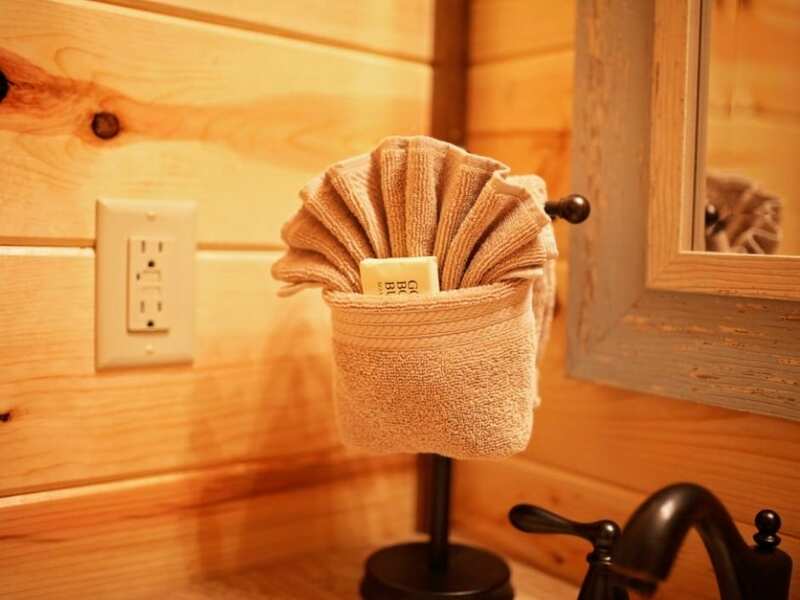 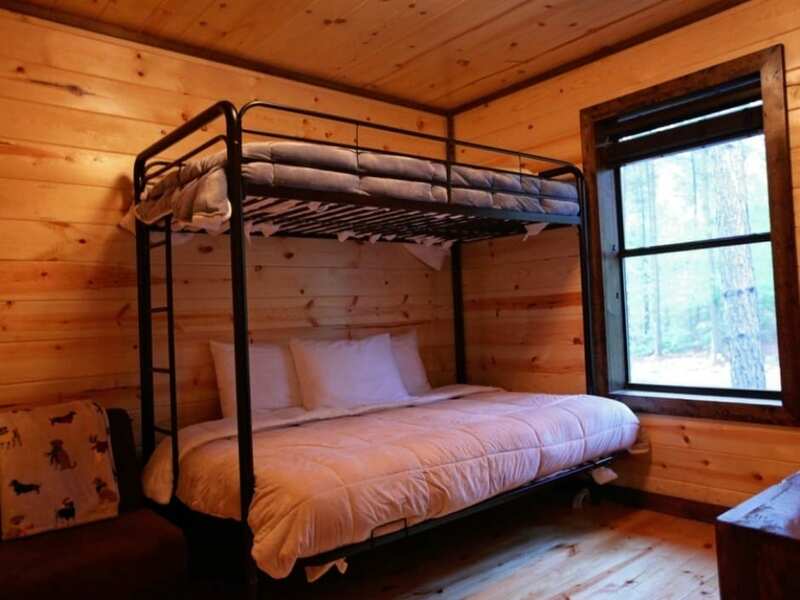 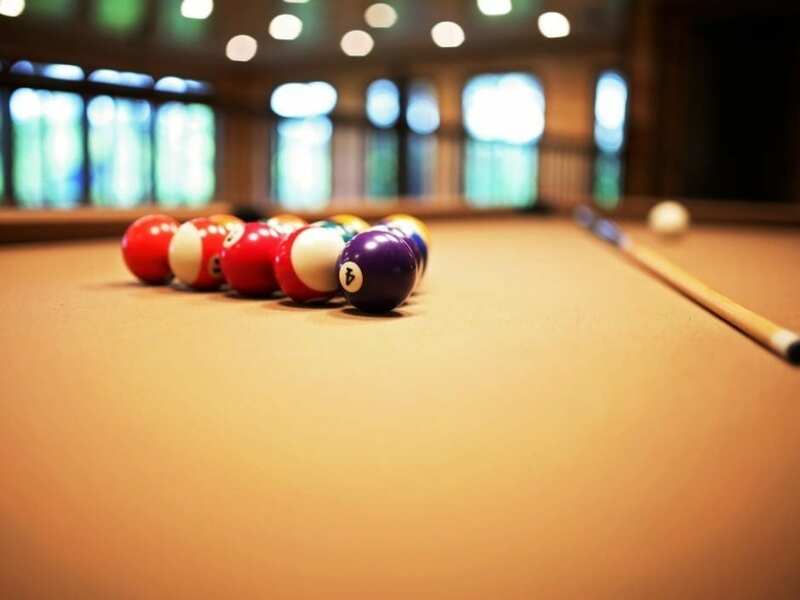 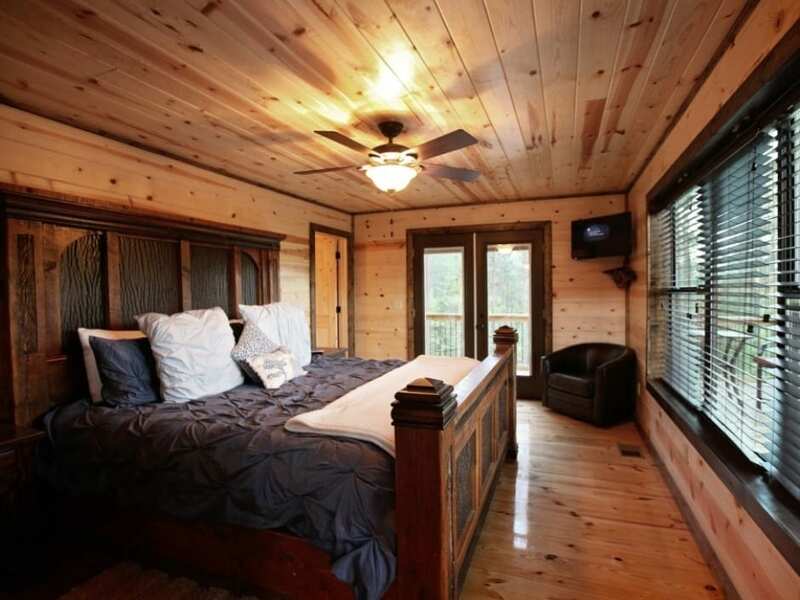 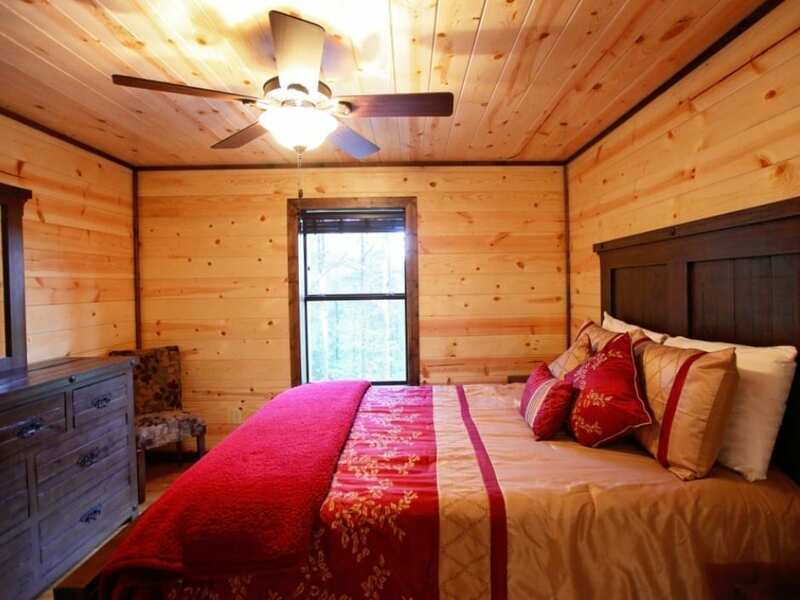 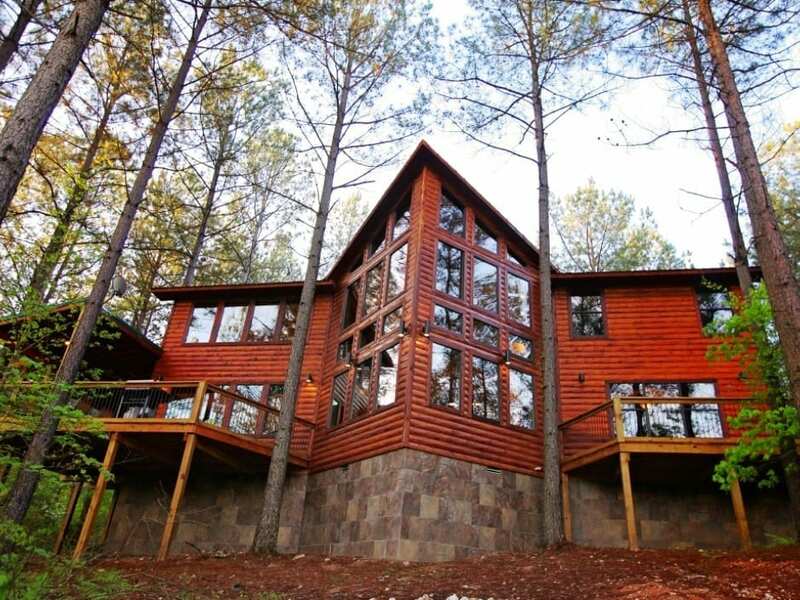 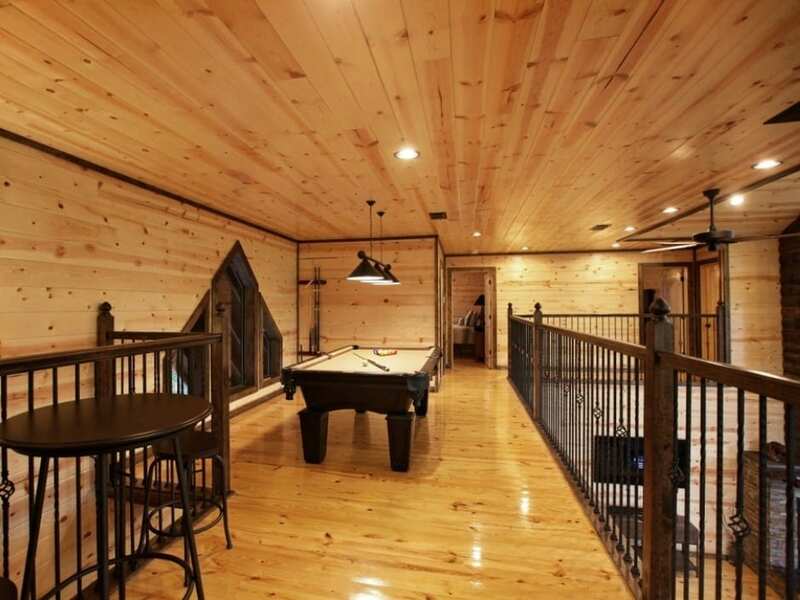 Tree Top Point Lodge is a large 4 Bedroom + Gaming/Bunk room/ 3.5 bath gorgeous cabin with over 3,500 sq. 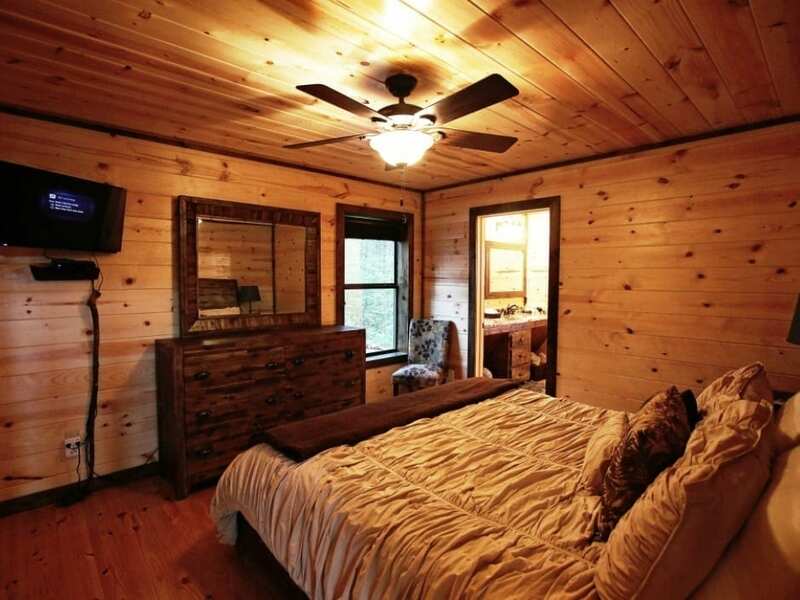 ft of heated/cooled living space. 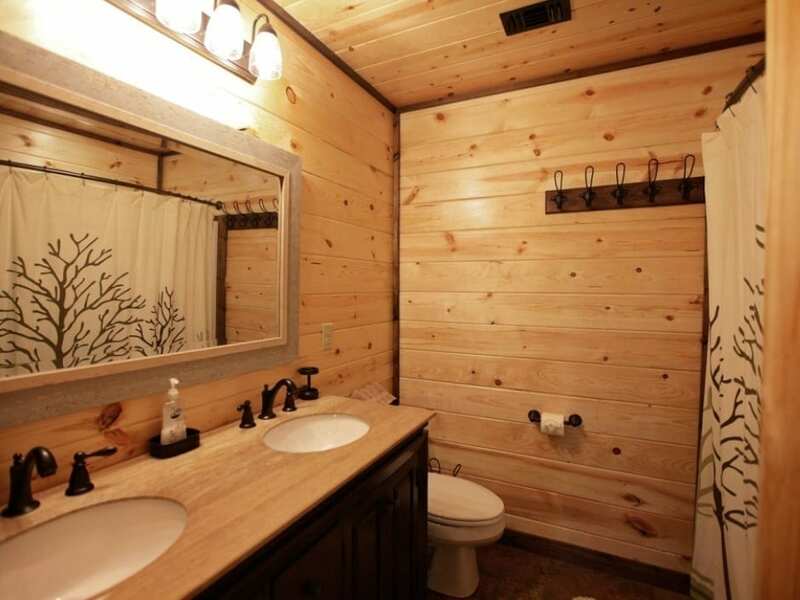 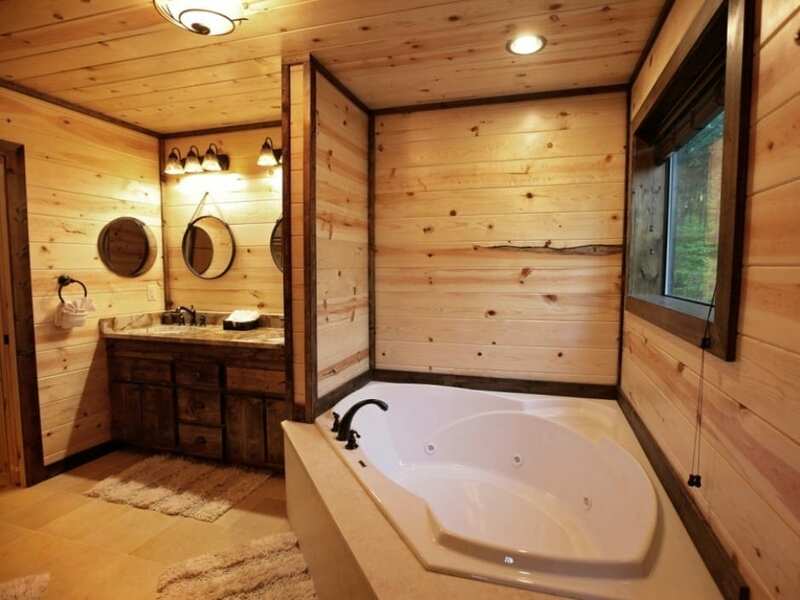 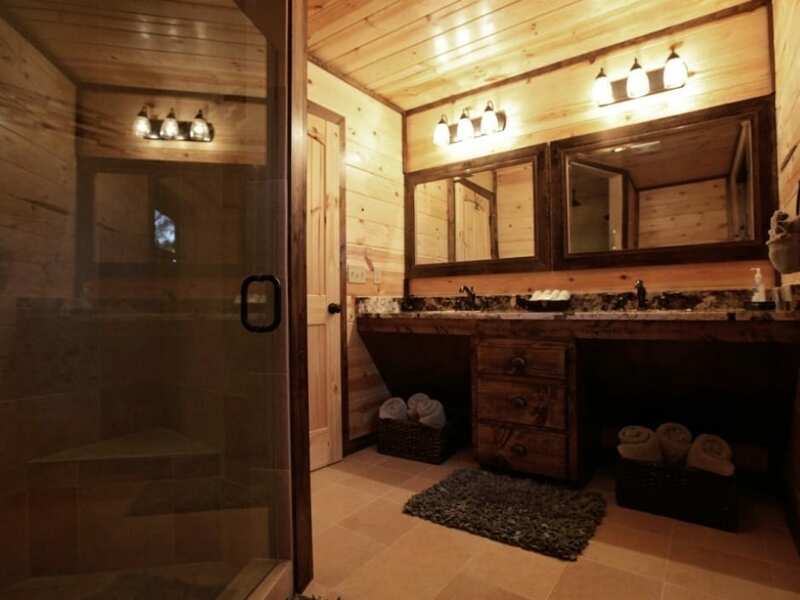 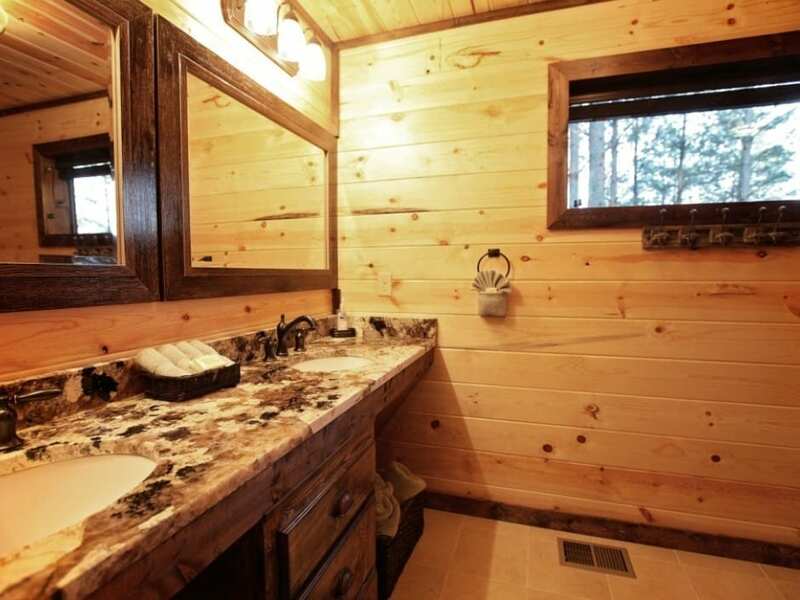 The cabin was built on a double lot with over 2 acres of pine trees and hardwoods. 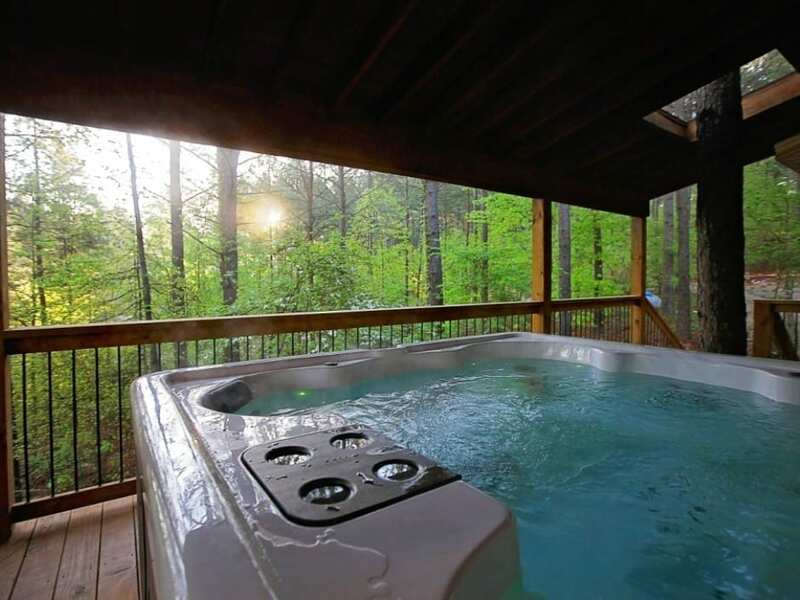 In fact, the owner cherished the natural beauty of the woods so much that two pine trees continue to grow up through the covered spa deck. 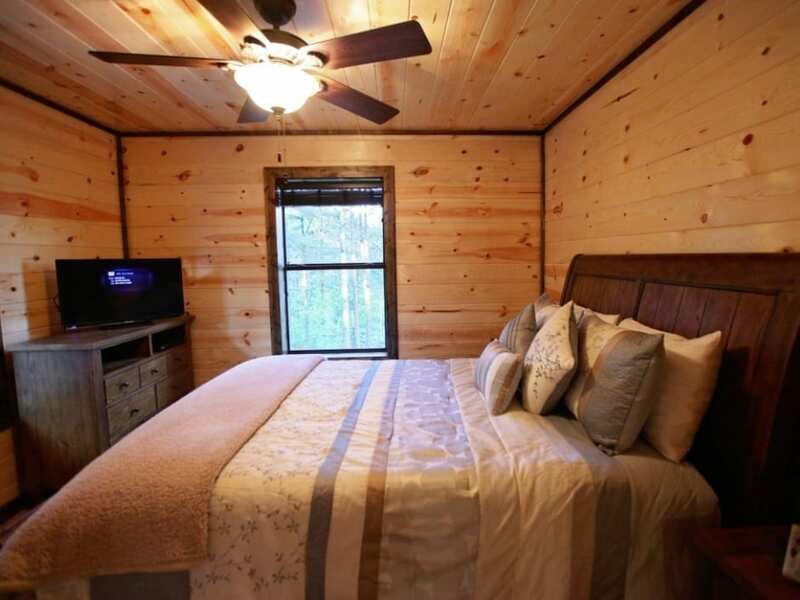 This cabin is perfect for a large family gathering (sleeps up to 10 adults, 3 children), two families to share together or 4 couples for a relaxing time away from daily life. 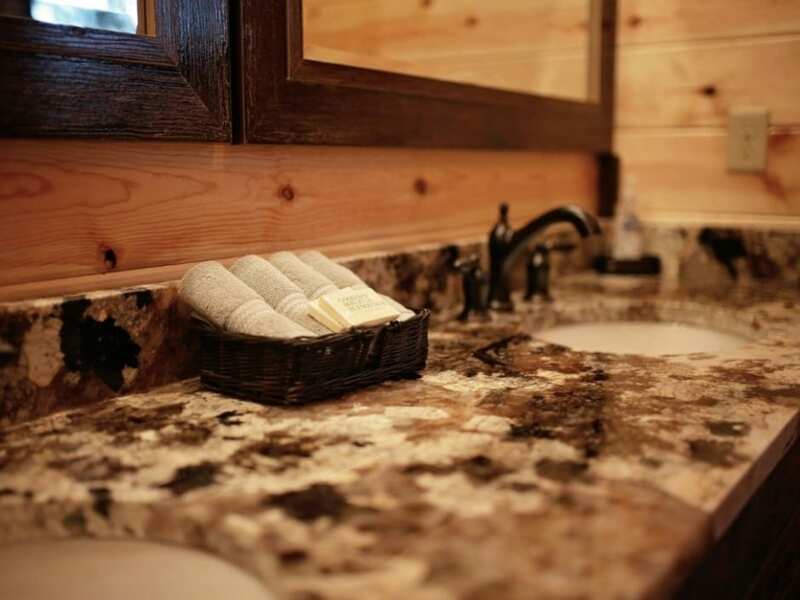 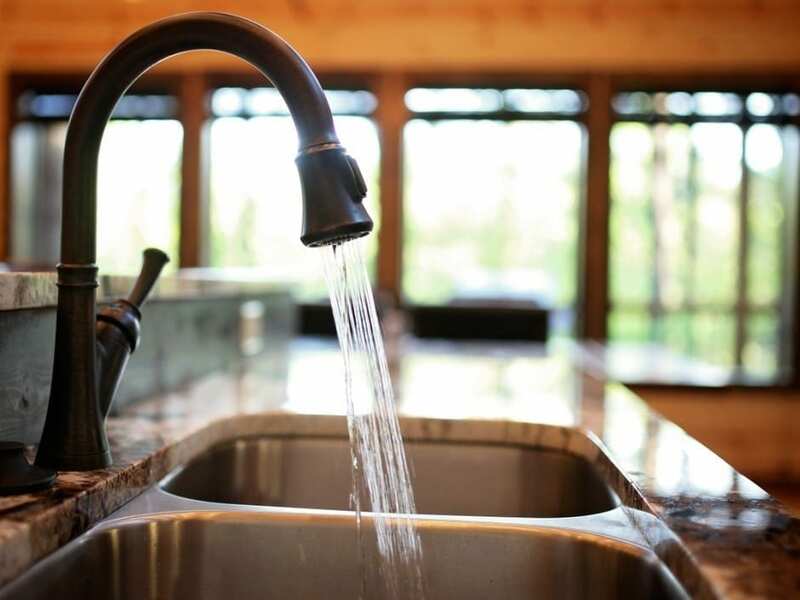 Both master bedrooms are equipped with iComfort gel foam king beds, marble and granite en-suite bathrooms with both standard and gentle rain shower heads. 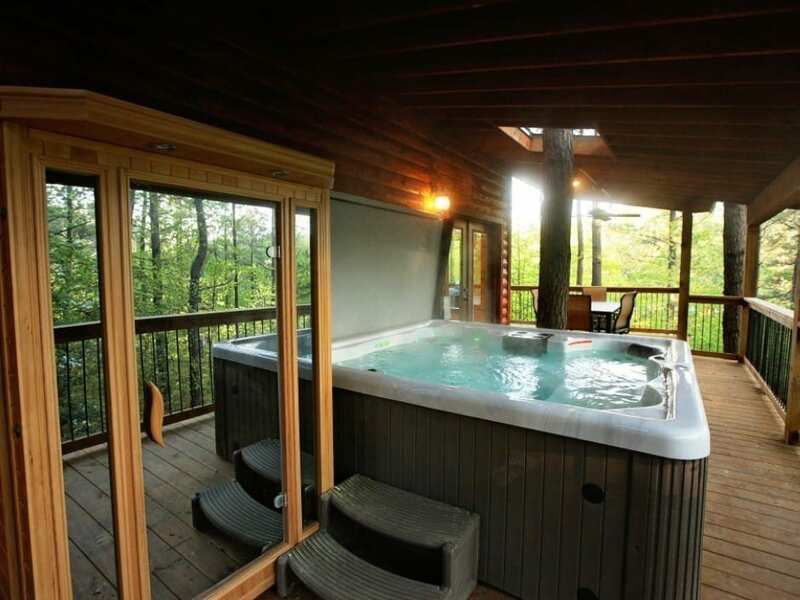 One master bedroom include a large 2 person Jacuzzi tub. 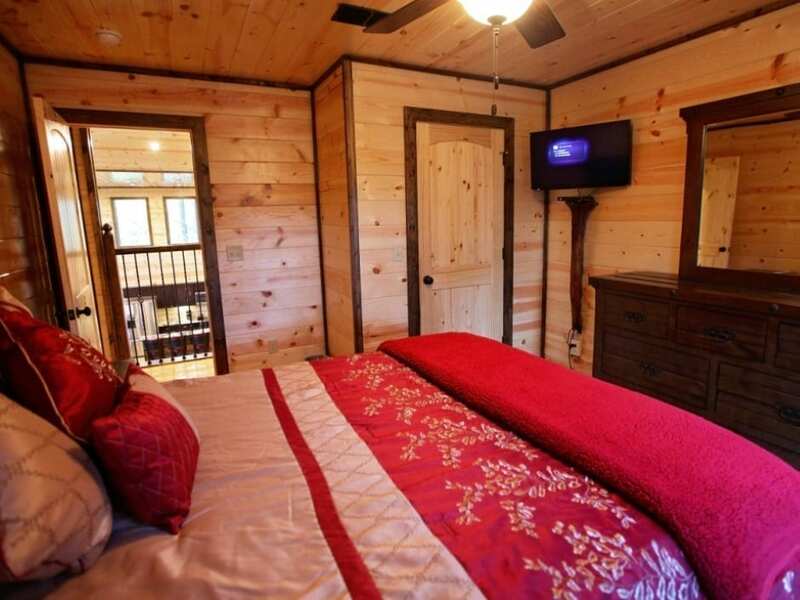 Upstairs are two bedrooms each with a queen memory foam mattresses, 1 full bath, a pool table and a gaming room with bunk bed sleeping. 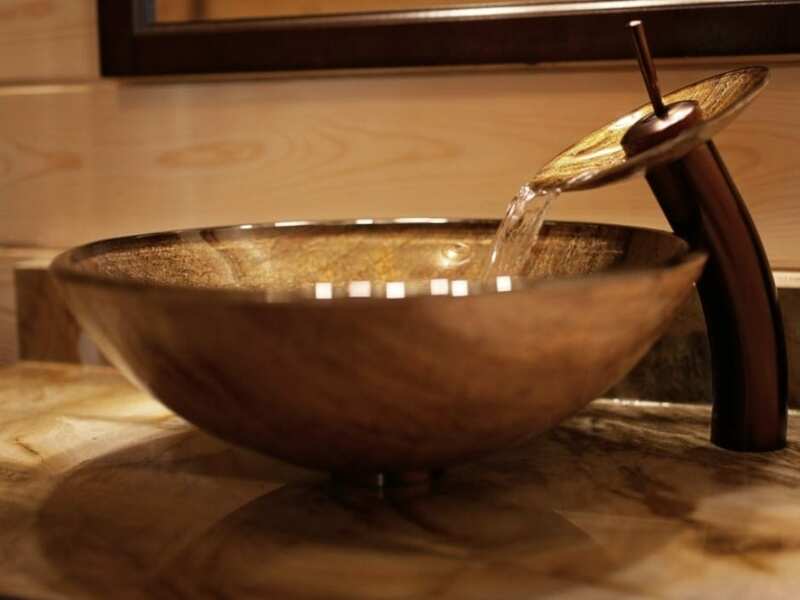 Carefully selected appointments of art and furnishing enhance the experience of this luxurious nature retreat.